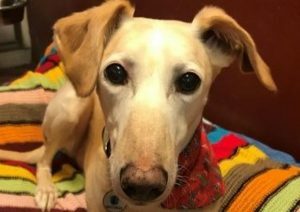 2/3/19 – Our former Old Dog of the Week, Casper has found a new home. Yay! 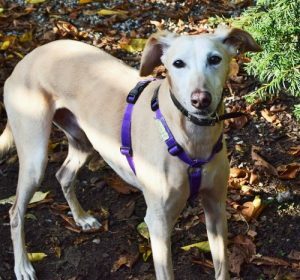 Casper is a distinguished 11 year old Lurcher gentleman who’s looking for a relaxed home, with the help of Battersea Dogs & Cats Home. He’s currently in kennels at their Old Windsor site in Berkshire. He could live with teenagers, as long as he has lots of lounging time. 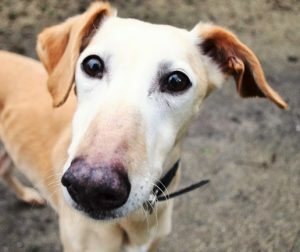 He used to have a kennel mate, his best friend Floyd, but sadly he passed away recently. 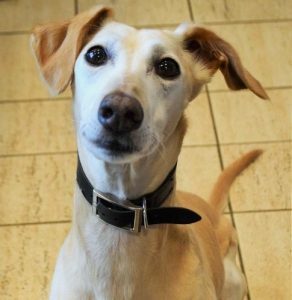 Casper is a placid boy who enjoys the simple pleasures in life such as food, fluffy toys and affection. … whilst also providing calm reassurance for him when he is around other dogs on walks. 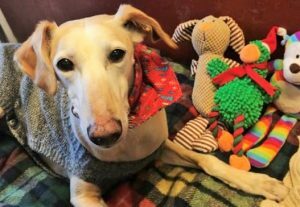 Casper may be able to live with another dog in his new home. 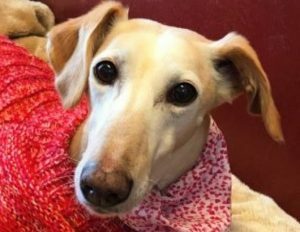 His ideal partner would be a steady, female Sighthound of a similar size. 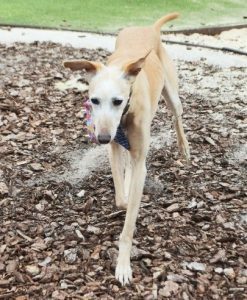 He would not enjoy the company of smaller dogs or those that are very playful or energetic. Or cats! Casper can’t wait to be part of his new forever family. He’s so affectionate, having so much love to share! Please say you saw Casper on the Oldies Club website. This replaces Casper’s joint page with Floyd, dated 28th July 2018.